The brain is an incredible organ. With trauma, its natural tendency is toward healing. The importance of working through trauma with a professional therapist is supported by numerous studies. The bottom line is that therapy works and, in fact, can be extremely effective. However, since healing continues between therapy sessions, there are activities you can engage in that will promote and enhance the healing process. Remove expectations of how you should feel and how you should be functioning. Trauma takes a toll on even the strongest and healthiest individuals. We can never predict how trauma will affect someone. Often, people who have experienced trauma will get frustrated with themselves and the pace of their recovery. They will have expectations regarding how they should be functioning and progressing. These expectations can slow things down, particularly if they are not flexible and lead to self-criticism if not met. Treating yourself kindly and with compassion is vital in the healing process. This does not mean you stop trying and putting effort into recovery. It simply means that when goals are not met when you wanted to meet them, you don’t beat yourself up. Instead, you accept that you are a human being. If timelines and goals are important to you, make sure they are flexible and do not include some sort of self-punishment (including negative self-talk) if not met. Treat yourself like you would treat a loved one. When you notice self-criticism, catch yourself and replace it with words that are encouraging and nurturing. When someone experiences a traumatic event, the negativity and intensity of the symptoms can impact the way you view the world. You may notice that activities you once found pleasurable are no longer so. This can reinforce feelings of hopelessness and depression. Starting with something small and removing any expectation of how you should feel can assist with the healing of this aspect of trauma. It can be as simple as taking two minutes to look at something small and beautiful, such as a flower or leaf. During those two minutes, work on focusing your entire attention on the object you have chosen, appreciating everything about it and trying to notice things about it that you hadn’t noticed before. The goal is not to feel a certain way, but rather to focus your mind on something that will likely be pleasurable in the future. Each time you do this, you are reinforcing a positive experience in the brain, which is powerful and healing. Many people who are working through trauma find that connecting with an animal is a powerful way to heal. Animals have the ability to sense and react to our emotions in a way that can be comforting to the person experiencing distressful symptoms. There is no particular type of animal that is more effective than another. It depends on your preferences. If you already have a pet, you have a great resource that is readily accessible. If you don’t have a pet, volunteering at the Humane Society, ASPCA, or other organization that helps animals can be a great outlet. Helping animals to heal from their own trauma can have a tremendous healing impact on the brain and can also make you feel good to know you are doing something positive for another living creature. As human beings, we are hard-wired to need other people. In the days of cavemen and -women, we did not survive going it alone. We needed others in order to hunt, for protection, and for community. 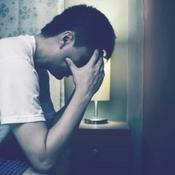 When someone experiences a traumatic event, one urge may be to isolate from others. This is understandable, as trauma can create negative beliefs that lead to shame and a sense of loneliness. Connecting with other people who are safe and healthy can be a great way to go against negative beliefs that may cause you to isolate. If you already have such people in your life, start there. You don’t need a lot of people. It can start with making a phone call. Healing can take place without you needing to talk about the traumatic event. When you make positive connections with other people, you create positive neural networks in the brain, which help to make the traumatic neural networks and related symptoms more tolerable. If you don’t have people in your life who are healthy or safe, finding a trauma support group is a great way to connect with others with whom you will be able to relate. Remember that healing from trauma may take considerable time and effort. Having a good trauma therapist and the tools to enhance healing between therapy sessions can make the healing process easier, faster, and can teach you about how resilient and capable you really are. Wouldn’t you say that a lot of the ehaling comes from practicing what you have learned ina session outside of the that office? You have to find ways to put this into play in every facet of your life and can’t just be about an hour of self affirmation perq week. This is something that you must remain mindful of on a moment by moment basis. Saying during therapy that you want to heal and then doing it on your own, that is a huge step, but one that will be critical for you throughout the healing process. Pet therapy is awesome- can make a tremendous impact for anyone who is suffering form recurrence of memories of traumatic events. They can soothe you and heal you. A support group can definitely help when you feel lost and all alone. There are times when you want those who are close to you but there are other times when you need to be aorund those who truly understand what you are feeling. This is when a support group can be so helpful to you. Just because you may not know these people when you first walk in, you are bound to get to know them through a few first meetings. And what they have to share could be miraculous for you and your own healing process. I have always been pretty shy so the thought of opening up to new people and trying to make those connections like you suggest? Well that it is a little daunting for me but I am going to make the move and at least try. I have always preferred no company really to having to be constantly on and finding something to chit chat about. For me that is an uncomfortable feeling that I am not sure that I can overcome, but I am tryingout some new group activities so that jhopefully I can get past some of that shyness that in some ways I feel like has held me back form my own recovery and healing journey. There are so mnay possibilities out there- it seems like such a shame when you have something terrible happen to you in your life and then you decide that the best way to protect against that from happening again is to shut down and close yourself off. But I wonder how that actually helps protect you, because it isn’t really teaching you anything about being resilient, only about protecting yourself. When really the ebst way to protect yourself is to actually allow other people in, those who can help you through the hard times. If you continually shut down and don’t let others in, then you are there to experience all of thsi alone which is actually terribly unhealthy. These are all good things. I prefer the isolation from people in real life at the moment, but realy enjoy the time spent in small interactions, like at the shops and social media. That said, i’m putting myself back to school next year, so i will definately be amongst ‘it’ again. I have a cat who adopted me this year, she suffers from trauma too, so i soothe her alot more than the usual cat, i sing to her which she likes very much.